Although we’re living in a pretty incredible futuristic world, we still don’t have a lot of the awesome gadgets promised to us by The Jetsons. Which, frankly, is a huge disappointment. 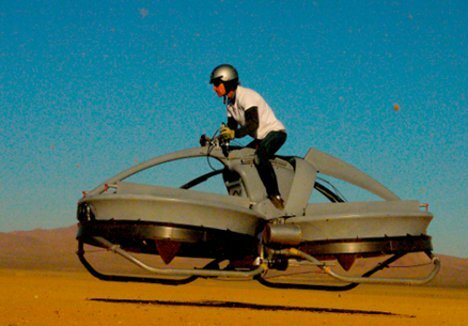 But we’re getting a little closer to the ideal future with this real, working hoverbike. It’s no flying car, but at least it lets humans overcome the pesky bonds of gravity for a little while. The hoverbike, created by aerospace firm Aerofex, uses two high-powered fans to lift it off of the ground. It picks up on the small balancing movements people make when riding a bike or motorcycle, letting anyone drive it without any special training – provided you already know how to ride a bike or motorcycle. Early versions of the bike could go as fast as a helicopter, but for safety’s sake the hoverbike is being tested at 30 MPH and 15 feet off of the ground. 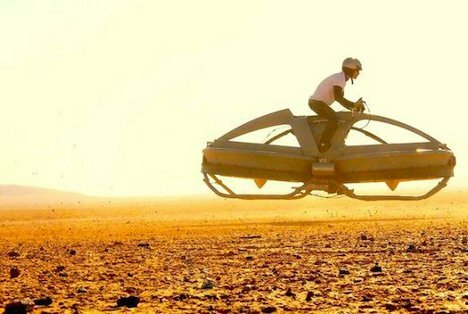 Aerofex doesn’t anticipate their awesome speederbike-like invention hitting the streets for us regular people anytime soon; instead, they are working on unmanned versions for the military. So while we’re pleased the thing exists, we’re still pretty disappointed we can’t get our hands on one. See more in Mods & Custom or under Transportation. August, 2012.